In Episode 8 of The Big Séance Podcast, I had the pleasure of having a personal mentor as a guest. 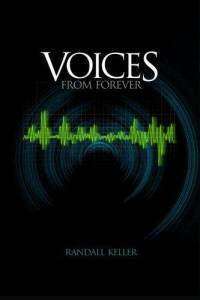 Author, blogger, podcaster, paranormal investigator, and EVP Researcher, Randall Keller, discusses his work with Electronic Voice Phenomena. He also shares some amazing EVP samples. More of Randall’s EVP samples! This entry was posted on Thursday, August 14th, 2014 at 1:31 am	and tagged with author and evp research, big seance, big seance podcast, electronic voice phenomena, electronic voice phenomena with author and EVP researcher Randall Keller, electronic voice phenomenon, EVP, evp research, ghost hunters, ghost hunting, paranormal, paranormal evidence, paranormal investigation, randall keller, randy keller, seance, spirit communication, spirit voices, spiritual, the big seance podcast 8 and posted in EVP Research, Interviews, Paranormal Evidence, Spirit Communication, The Big Séance Podcast. You can follow any responses to this entry through the RSS 2.0 feed. « Some exciting improvements for The Big Séance Podcast!